For the members of Minehead Quilters and for members of the public at events where the banner was on display, this project had quite an impact. 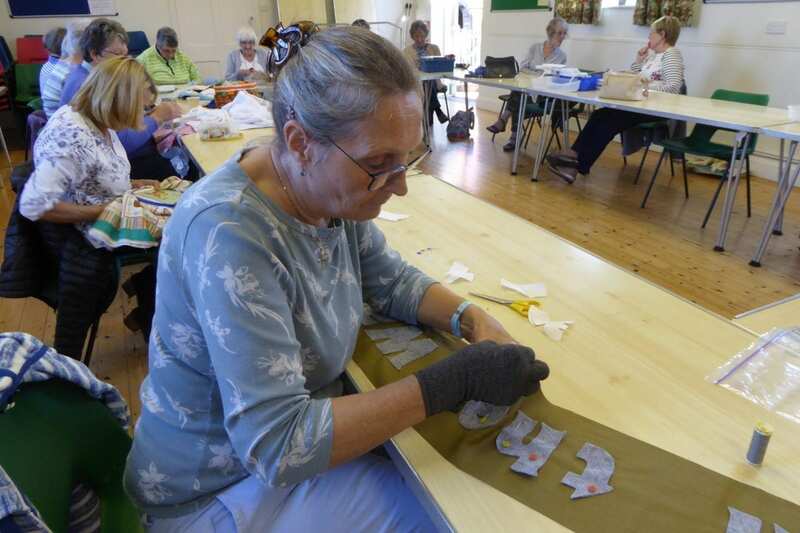 Many of the quilters had to learn new skills for the project – not just technical skills but also carrying out historical research and working together on a creative piece. The final result was deeply satisfying for some of them and gave people an unexpected angle on a side of the First World War about which they knew very little. I learnt how to draw a horse! How materials can depict landscapes, buildings etc. My great-grandfather, George Ayres, fought in WWI in the Royal Horse Artillery. He loved his horses and it broke his heart when they were hurt. He survived every major battle, and came home, gassed, to his 5 year old son Bert, my grandad, who was so proud of him. God bless you for this fantastic piece of important history! At the start, one lady was not very interested in the project or the subject and was a little negative about it all. She refused to complete the baseline questionnaire. However, she read Susan’s book and helped the others with questions about their squares. She was instrumental in the construction of the banner at the end of the project. I drew up a separate end of project questionnaire for her and this time she completed it. I was surprised with her comments, which included that she learned patience, adaptability and problem solving. The part she enjoyed the most about her contribution was “stretching my mind again, and then I got to enjoy it”. 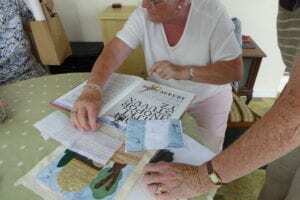 She said that she had learned how many horses and mules were involved and also commented that she was surprised at how the group got involved in the project. I consider that this was a success, considering her attitude at the start of the project! Click here for an evaluation report about the ‘Horses in the War’ project.